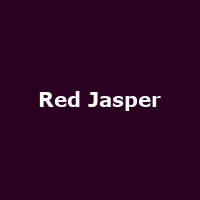 Red Jasper first began in the mid 1980s by Davey Dodds and Robin Harrison. This cardiff-based progressive rock band have so far released six studio albums and one live album, the latest one entitled 'The Great & Secret Show'. Current line-up includes Robin Harrison (Guitar), Jon Thornton (Bass), David Clifford (Vocals), Lloyd George (Keyboards) and Florin Werner (Drums).